Have you ever cooked or baked something, only to realize that your kids aren’t allowed to eat it? It happens to the best of us - you make a luscious coffee ice cream from scratch or a scrumptious coffee-infused cake for dessert, only to remember that your children can’t have coffee or anything that contains your favorite brew. As it is, children are consuming more caffeine than ever in energy drinks, trendy blended coffee drinks, and bottled iced tea. Though moderate coffee consumption is  generally recognized as safe, this classification is based on studies conducted in adults, and there is very little research conducted on children and adolescents. While it has been said that  safe daily levels of coffee  for kids aged 7 to 9 years old is 62.5mg (or about one and a half cans of Coke), it’s better to be safe than sorry when it comes to our kids’ health. 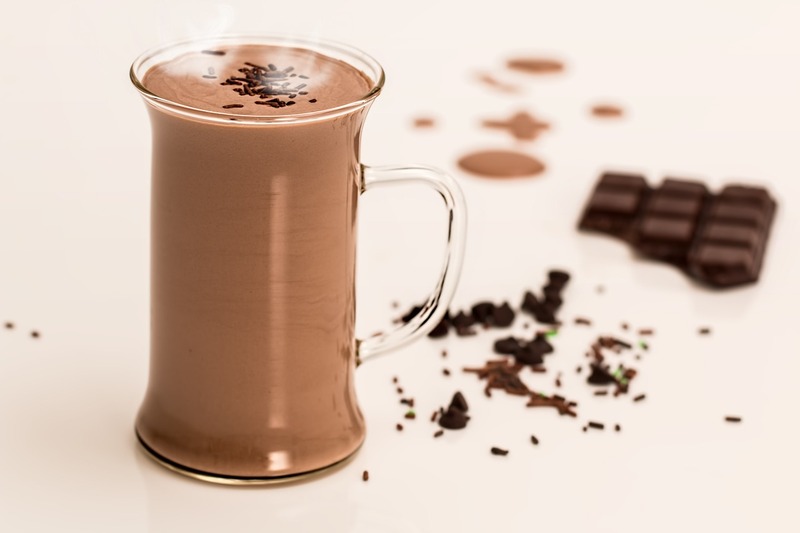 Fortunately, there is a healthier alternative to coffee that tastes just like the real thing, and you can use it to create wonderful drinks and desserts that everyone will love without the caffeine buzz. If you don’t want to switch over to decaf for your coffee recipes, then  chicory is a family-friendly substitute  as it tastes just like coffee without the caffeine. Chicory is a perennial with purplish blue flowers, and its roots are roasted and brewed to make chicory coffee. To make a cup of chicory coffee, you can brew it  using a drip coffee maker  or use a cold brewing method. Apart from having it as your morning beverage, you can also use it in recipes that won’t give your children sleep issues or cause a caffeine addiction. Here are 3 chicory-based recipes for your whole family. According to the American Academy of Pediatrics, caffeinated drinks  have no place in the diets  of children and adolescents. Instead of letting them hang out at their favorite coffee shop, entice them with this chicory and vanilla frappe. Simply combine two ounces of brewed chicory coffee with a cup of whole milk, two drops of vanilla extract, half a cup of vanilla ice cream, and some ice cubes in a blender and blend until thick and frothy. Top with whipped cream and chocolate shavings. To make this treat, you’ll need instant chicory coffee. First, make a sugar syrup by boiling a cup of water with two-thirds cup of sugar. Combine two tablespoons of instant chicory coffee with a cup of almond or whole milk, then add the sugar syrup and stir. Pour into popsicle molds and freeze. This is a great spread for homemade bread and it even makes a good, thick dip for pretzel sticks and fruit. To make this spread, simply combine 6 ounces of cream cheese with one-fourth cup of sugar and half a teaspoon of instant chicory coffee in a mixing bowl and beat until fluffy. Try any of these chicory-infused desserts as an alternative to your favorite coffee treats. All of these recipes are healthier, caffeine-free options that are better for the whole family.